Large Universal Ice Wrap by Trainers Pick: Trainers pick has done it. For universal or multipurpose ice wraps, this product has the rest beat. 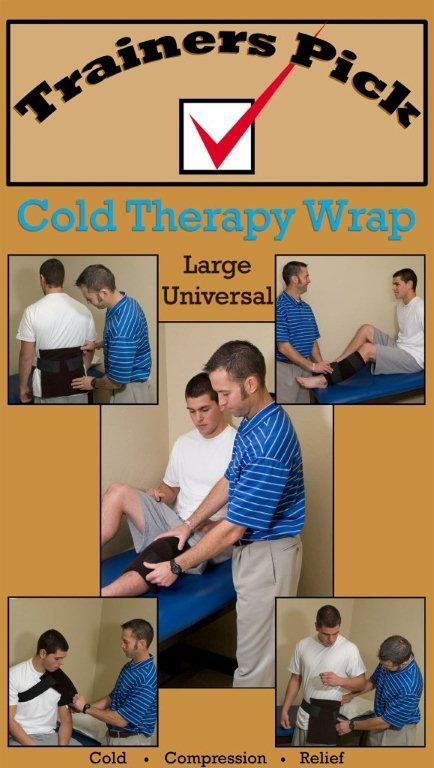 The large universal ice wrap by trainers pick offers the benefits of higher priced products for less, not to mention the fact that this product is so versatile. Trainers Pick ice inserts mimic those of best soft gel products on the market. However, unlike other products these wraps get rid of all the high priced extras and get down to business for less. For universal ice wraps this product has the rest beat. Not only does it come with extra straps so you can use it for several different key injury areas, it out performs wraps designed specifically for those injuries, and for less! This product is definitely worth keeping around in your freezer.